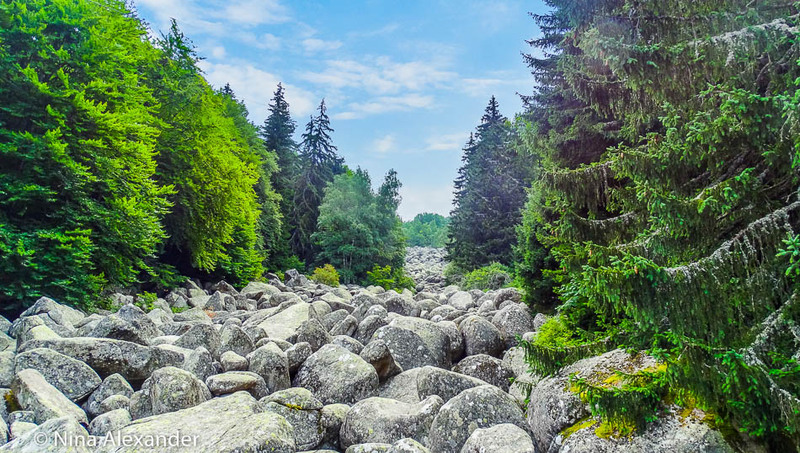 The Golden Bridges in Vitosha Mountain near Sofia are definitely one of our favorite places to visit. This summer we’ve been there twice and the view seems more spectacular every time! I am pretty sure you’ll quickly understand why by the pictures below. If you’re looking for the perfect picnic location around Sofia where you can take your date or simply need to surround yourself with nature and forget about the every day city life, jump on your car and head to the Golden Bridges! This is one of the few natural phenomena accessible by car near Sofia and with no doubt a smooth way to impress a lady (if she’s not wearing high heels of course – if she does, you risk making her miserable). According to Google Maps it takes 44 minutes to get there from downtown Sofia – in my experience, it’s less than that. The minute you reach ring road it really gets easy. It probably surprises you that the map above says 2:30 hours and this one says 2 yet I am including this route in the full day trip. This however is no accident. First I believe this path is way steeper than the other one. I don’t know if Google people have actually walked there or just copied the info from somewhere, but my guess is they “cheated”… Second, on this path you’ll pass nearby the Boyana Lake and the Boyana waterfall (if you want to actually see the lake there is a small detour), which in my opinion are places worth seeing. So, if you choose this path charge your camera and take your time! The Golden Bridges are marvelous, but I bet they’ll be pretty dangerous to walk on during winter or rainy days, so whatever your season choice just make sure it’s dry outside. Did you find this info helpful? Or did you take some awesome pictures of the Golden Bridges? If so, come back and share a link in the comments below! We all want to see them! I’ve never visited but the pics look simply beautiful, what an adventure. Love these photos, they are amazing, looks like such a beautiful place. Lovely images and looks like a great place to visit. Nice touch including the maps – it was interesting to see that in comparison with your post and the pictures of the scenery, too. Looks like a good time! I love how you incorporate the maps and your personal experience into this. During my upcoming trip to Switzerland in May, Sofia was (still is slightly) high on the list of places to take a quick side-trip to. I always wanted to go hiking somewhere abroad, I was actually talking with a friend from Bulgaria today about it. Im sharing this, I definitely want to go, the pictures are stunning!!! Thank you Anna-Maria! Let me know if you decide to come over – it would be great to meet you and I will happily show you around or assist with your hiking plans! It looks beautiful! I recommend you to go up to Romania also, there are some very beautiful high mountains there too, great for hiking and for views. I am planning to actually – quite soon. If you have any blog posts about these places – drop a link or two! The rock river is pretty awesome! I’ve never seen anything like that. I’ve done a fair bit of hiking around the UK but it’s always been wet and soggy. I think it would be amazing to do a full hike abroad in a completely different place – will bear this in mind! Yes from the photos I imagine that it would not be safe during winter or raining days. Beautiful! 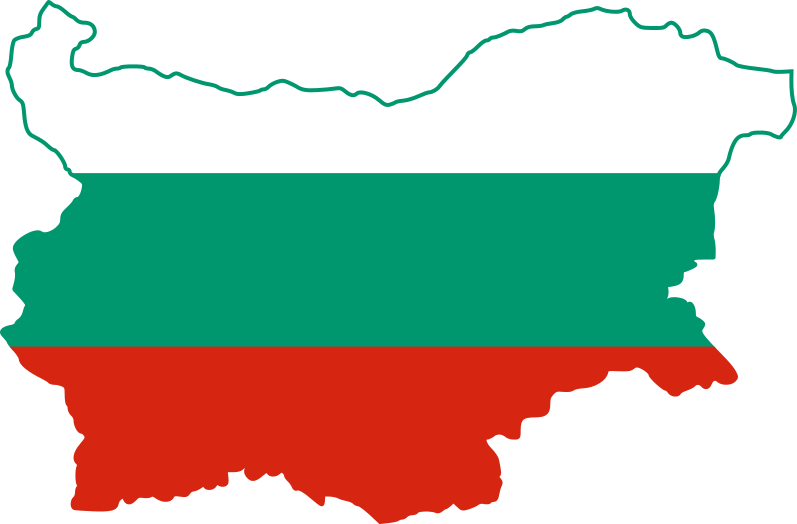 Now you make me want to visit Bulgaria. 🙂 Thanks for a great post! Oh wow Golden Bridges looks wonderful!! I’m a scout leader, our scouts would love hiking through there, it would be just beautiful! Good to see a nature loving blog post, people often tend to be lost finding amuses amongst concrete jungles. In this case, stick for more Gav! We’re hikers and there is a lot more coming very soon! Wow, Golden Bridges looks gorgeous! Your photos are giving me a serious case of wanderlust! Perhaps we can fit this in when we make it to Europe! Thanks for sharing.